Carousel Twist Pile Bedroom Carpet in Kingfisher Blue (83). Bedroom carpets with a 12mm depth and a soft twist pile. Available in 25 colours. A huge collection of carpet available online at Abbey Carpets. Carousel twist pile bedroom carpet. A warm and soft twist pile carpet with a hessian backing. Perfect for bedrooms and lounges. Use our handy price calculator to work out the cost of your new bedroom carpet. Buy bedroom carpets online with confidence at Abbey carpets. 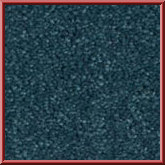 Carousel Twist Pile Bedroom Carpet in Denim Blue (82). Bedroom carpets with a 12mm depth and a soft twist pile. The selection of pinks and blues makes this carpet absolutely perfect for bedrooms. Carousel Twist Pile Bedroom Carpet in Misty Rose (12). Bedroom carpets with a 12mm depth and a soft twist pile with a velvety texture that catches the light and gives your room a warm look. Carousel Twist Pile Bedroom Carpet in Coral Pink . Bedroom carpets with a 12mm depth and a soft twist pile. Large selection of pinks and blues makes this carpet range absolutely perfect for bedrooms. Carousel Twist Pile Bedroom Carpet in Maroon Red (20). Bedroom carpets with a 12mm depth and a soft twist pile. Use our handy price calculator to help work out the cost of your new bedroom carpet.